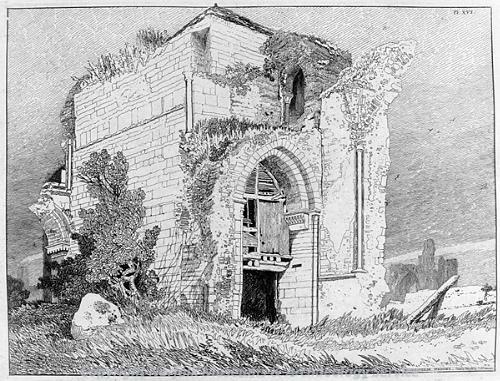 John Sell Cotman's etching of Bromholm Priory, Bacton. Print, 'Bromholm Priory' by John Sell Cotman (1782-1842). Etching on paper.